Mole Knight is one of Shovel Knight's most distinctive characters, and not just for his lobster-red armor and stubby legs that flail like an upset crab when players knock him onto his back. Long and flat, his hands extend into red-hot claws that carve through dirt like the proverbial hot knife through butter. "Mole Knight is obsessed with digging," said Yacht Club Games co-founder and Shovel Knight director Sean Velasco. "He's obsessed with it; that's all that matters to him, and he's upset with Shovel Knight because he wants to be the best at digging." A second distinctive fixture, more subdued than his claws, is the plume of fire atop Mole Knight's helm. The flame dances even while he stands still, movements that seem trifling but go a long way to cementing the character's identity. "He feels alive. He doesn't seem like just an image," said co-founder and lead artist Nick “Woz” Wozniak. 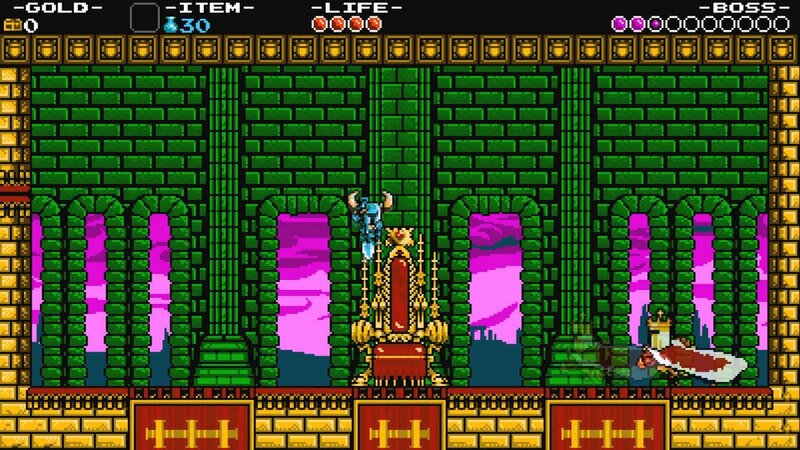 "You can have him sit there and talk to Shovel Knight, and he still feels active and alive. That's a thing to consider when you're designing a character: what are its secondary movements? What's the cloth, or scarf, that will trail?" Woz defined secondary movements as actions that stem from primary movements. Throw a rock into water, and it makes a splash. Secondary movements, ripples extending outward, are the result. Within the context of Shovel Knight, a character throws a punch—primary action—and his or her clothing reacts to it. "When you're designing a character, you want to have interesting parts to their design that have movement that's not directly tied to primary movements, but still enhance them," Woz continued. "That's why a lot of characters will have cloth even though it's not absolutely necessary. Kratos has a belt that moves around, King Knight has a cape that follows where he goes. That's what makes those characters interesting." As the programmers on the game, co-founders and Shovel Knight programmers David D'Angelo and Ian Flood shared coding duties on bosses. Mole Knight fell under D'Angelo's purview. "It usually begins before there's any programming done," he said of boss design. "Sean and I will likely get together and we'll talk through just basic, 'What could this boss be?'" Mole Knight is squat, fiery, and armed with claws. Yacht Club suggested slashes, lunges, and a more elaborate sequence where he burrows into a wall and then comes shooting out with claws extended, at which time players could dodge, or hit him with a shovel drop as he flies by. Before Woz got down to the business of animating a character, Velasco sorted through ideas for its attacks and winnowed them down to three or four, the average number of maneuvers used by bosses in NES games. Velasco captured those details in a design document and passed the information on to Woz. "We wanted the theme of the world, the theme of the character, and the personality of the character to match and be cohesive." "At that point some temp or final animations will be given to me, and I'll start figuring out how to piece them together in a way that makes sense," D'Angelo said. "My first step is to put in those attacks almost exactly as they're described, and try to get a feeling for what they're like when they're actually in there." D'Angelo mulled over the list. Mole Knight revels in speed and chaos. Besides burrowing through and exploding out of walls, he slides along the ground. For versatility, he grows a lava pillar from his fiery plume, pounds the ground to cause a shower of rocks, and creates mounds of debris to trip up players. D'Angelo programmed in those attacks, then played with their implementation and order. Velasco's design documents described boss moves in rough detail—just enough for Yacht Club co-founder and concept artist Erin Pellon to go on so she could translate his words to illustrations. "Erin would make a few drawings of what it could look like and general shapes," explained Woz. "I would take that and move it into pixel art. I'd take the loose drawing she did and make it into a final form. Then we'll all talk about if it worked or not. If it did, I would model and animate it." "We wanted the theme of the world, the theme of the character, and the personality of the character to match and be cohesive," Velasco added. "King Knight is arrogant and full of grandeur, but on the inside he's a coward. He lives in a gilded castle and he was planted there by the Enchantress, so it's perfect: everything about him is a facade." Woz cranked out temporary animations for King Knight's attacks until he arrived at final animations. However, he used these placeholders sparingly. Not only was it easy to get attached to a certain animation and resist changing it, some temp art threw off design. "For Polar Knight, we couldn't use temp animations like we could with King Knight because the size disparity is so huge," Flood said. "You could have King Knight doing all these temp attacks with the idea that we'd put in all these new frames, but if another boss's is three times as large and three times as tall, that completely changes the encounter." "I think what sets us apart is that we only play the games we're interested in, and not necessarily what's popular." King Knight ended up being one of the easiest bosses to plan and execute. 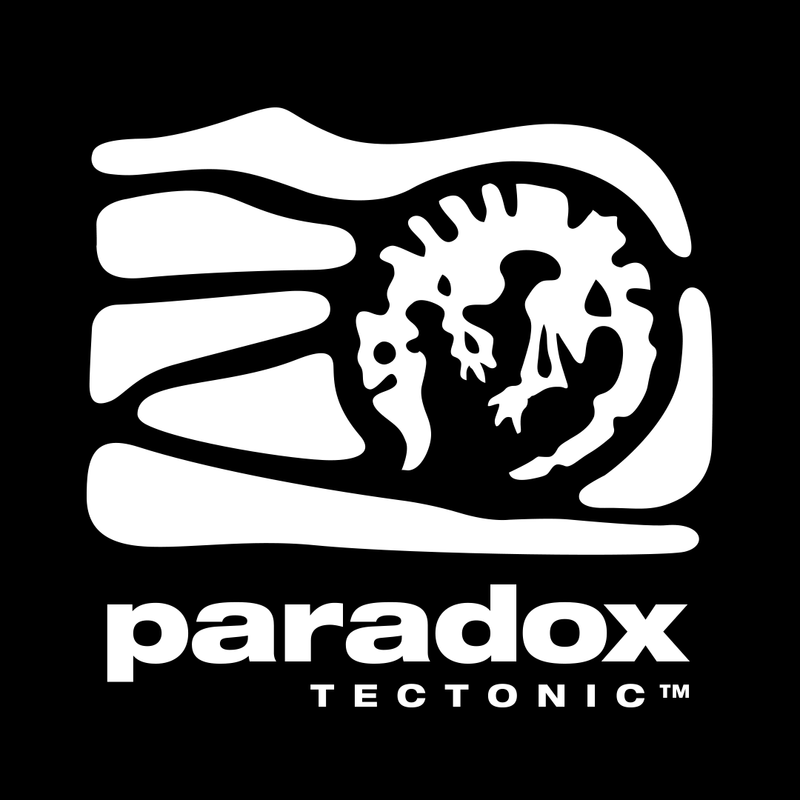 As one of the first bosses players could fight after completing the Plains of Passage tutorial zone, he needed to wade in the shallow end of the difficulty pool. "He just plays out all his attacks one by one," said D'Angelo, who programmed the boss, "and it's simple and easy because he's one of the first bosses you see, as opposed to someone like the Enchantress who's extremely built around [progression]." 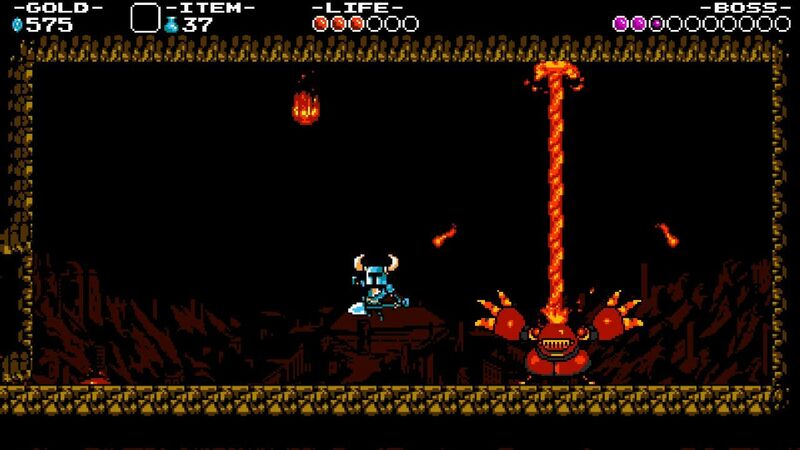 Baz, one of several wandering bosses players can bump into—or avoid—while traversing Shovel Knight's world map, looks like a cross between the game’s Polar Knight boss and one of the Legion of Doom professional wrestlers popular in the WWF during the 1980s. Unlike Polar Knight, Baz was created by Matt Kowalewski and Woolie Madden, two members of a group of gaming personalities called the Best Friends Zaibatsu, a Japanese term that refers to a conglomerate of businessmen. The best friends adopted the term ironically. While they do indeed run a business, they're a far cry from the image of stern-faced Japanese businessmen wearing suits and clutching briefcases that the term conjures up. "I think what sets us apart is that we only play the games we're interested in, and not necessarily what's popular," Kowalewski explained. "A lot of our fans can tell what we're enthusiastic about even if it's strange or obscure. While our channel grows pretty slowly, our fanbase sticks around through it all." Kowalewski and Woolie discovered Baz during an episode of Fighterpedia, a show where the duo share facts about fighting games. In the pilot, they mine Capcom's sketches for rejected Street Fighter II characters and come across Zubaz, a stereotypical meathead character whose rippling muscles bulge beneath a gym outfit with his name emblazoned on the front. According to the sketch, Zubaz could summon lightning from the sky or crack his whip to deal damage from a distance. "We fell in love with how awful his entire existence was, and thus naturally decided to give him the personality of this unstoppable force to be reckoned with, making a cameo in every single episode," said Woolie. When the two friends caught wind of the Shovel Knight Kickstarter, they talked excitedly of the game's prospects. The game also seemed the stage on which Capcom's rejected concept could make his video game debut. "We had met Yacht Club at E3 2013 long before Shovel Knight had released and hit it off pretty well," said Kowalewski of meeting the Yacht Club co-founders. "When it came down to Kickstarter rewards, Woolie and I put our heads together to get 'The Baz' included as a boss fight. We knew this was his time—nay, his destiny." Woolie and Kowalewski pledged to Shovel Knight's $1000 Kickstarter level to become Directors for a Day. As co-directors, they would get to collaborate with Yacht Club on the design of a boss or mid-boss character. "Everyone sent us their various inspirations of what they would like the character to be," Flood explained. "From there, we would turn the character into a concept. If everyone was on board with it, we'd turn the character into a full illustration. Then, like any other feature in the game, we would turn that into a sprite." Over dinner, Kowalewski and Woolie shared their grand plans for Baz. They had already exchanged emails with Yacht Club and given their elevator pitch on how the character should function. At the meet-and-greet, the group swapped stories of their favorite NES games and talked over concept artwork for Baz. "We described his personality, what type of conversation he should have when encountered, broke down each of his moves in the two phases of the fight and how they should look, as well as how his swinging mechanics should work," Woolie said. "The rest of the fine variables like damage, speed, and challenge was all Yacht Club, including that awesome crybaby animation when he loses."